Long before the venerable text Tao Te Ching was penned, the philosophy we think of as the Tao or Dao, meaning ‘way,’ ‘path’ or ‘route’ was forming. The Tao is not a name for a human-like god, a thing or a power. It’s more accurately translated as the matrix of the universe, its ultimate life essence. In light of quantum discoveries, we could think of the Tao as the consciousness, energy and potential that is the foundation of All That Is. Penned in China around 500-300 BCE, the Tao Te Ching is thought to be a compilation of even earlier Taoist thought. Although the text is usually attributed to the sage, Lao-tzu (meaning ‘old master’), it’s impossible to know whether Lao-tzu was an historical person or the symbol of a group effort. Chuang-tzu draws in the reader with a series of allegorical stories and philosophical discussions. Chuang-tzu lived during a time of violent civil war, which ended about 150 years later with the founding of the Han dynasty. The basic concepts of the Tao survived these changes, but the philosophy was altered in the process, much as the words of Jesus underwent radical change as later followers bent the earliest teachings to their own use. As part of a Han dynasty cultural restoration, a group of eight Taoist sages were brought before the king of Huai-nan to demonstrate their insight. The text called Huai-nan-tzu is said to be a record of the wisdom shared by these masters. Unfortunately, the spiritual insights contained in the work became largely overshadowed by political pressure, superstition and the official acceptance of Confucianism. Texts were produced that were supposedly based on Lao-tzu’s teachings, but they were now offered with the idea that Lao-tzu was not a human sage, but an immortal being who would continue to reappear on earth. 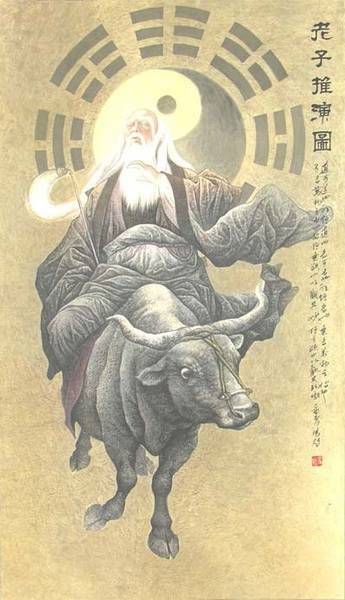 Many of the Taoist writings available from this time period reflect a far more esoteric/magical approach that is absent in Tao Te Ching or the teachings of Chuang-tzu. When Taoist teachings were bastardized, those who remained faithful to classical Taoist thought went underground. However, there is another text that remains faithful to original Taoist teachings. Wen-tzu: Consider the world light, and the spirit is not burdened; consider myriad things slight, and the mind is not confused. As physicists have discovered, the universe is made of quantum light, and as the writer pointed out, the material portion of the universe is only a small part of All That Is. Wen-tzu: Those who are known as Real People are united in essence with the Way, so they have endowments yet appear to have none; they are full yet appear to be empty. They govern the inside, not the outside. Clear and pure, utterly plain, they do not contrive artificialities but return to simplicity… not doing anything with the world is the drum announcing learning…comprehending the fundamental, embracing the spirit, thereby they roam the root of heaven and earth, wander beyond the dust and dirt…they are not moved by things… their attention is focused internally. Understanding that this world is not our reality, the sage looks to the foundation of all things. Quantum physics tells us that consciousness, energy and potential are the foundation of the universe. It is at the quantum level where Reality exists, and the world of form is an illusion projected from quantum consciousness. The ‘Real People’ are those who are awake to this truth and no longer are attached to the illusion of the body. Wen-tzu: Those who are known as Real People…regard ten thousand differences as of one Source… Everything is mysteriously the same; nothing is wrong, nothing is right… Those who are known as Real People…keep to the simplicity of wholeness and stand in the center of the quintessential. The physical senses perceive a world divided into separate forms, but quantum physics tells us there is only one interconnected, indivisible whole. In other words, nothing exists outside this one ‘relationship.’ As the sage points out, nothing is wrong and nothing is right because the Divine is everything, and everything is Divine. Wen-tzu: Mind is the master of form; spirit is the jewel of mind…The spirit is where knowledge gathers; when the spirit is clear, knowledge is illumined. Knowledge is the seat of the heart; when knowledge is objective, the heart is even…sages use the inner to make the external enjoyable, and do not use externals to make the inner enjoyable… Seeing the evolution of events, [sages] keep to the Source. Their attention is focused internally… They take the Way as their guide; when there is opposition they remain empty and open, clear and calm. Not long ago, it was believed that all thought originated in, and was limited to, the brain. But as sages have always understood, the heart has an even greater intelligence. Research is now backing up that concept. The most important thing that sages reveal about the heart is that it serves as a direct connection to the One Mind, the consciousness that permeates All That Is. As the Wen-tzu points out, we all have the choice of either focusing our attention on the external or the internal, with very different results. Whether the words found in the Wen-tzu are Lao-tzu’s teachings of the words of master Wen, they demonstrate an understanding that comes from the direct, personal experience of the Source. These words can help us understand that there is something at the foundation of the universe that gives and sustains all life. But why limit ourselves to words? The ancient masters who penned these words wrote so that you too would want to go beyond the words to the experience of the Divine, so you would know that you too could go straight through the heart to Source. The Beginning of Fearlessness: Quantum Prodigal Son and The Gospel of Thomas: Where Science Meets Spirituality. Suddenly everything around me melts away, and all I see is a a truth gem, sparkling in front of me, holding me captive until I hold IT in my hands. And at that, I am off to find books on this and add them to my treasure. Mark, I am one who embraces your thought and feel as well that the wisdom shared by the sages of old is being lost and it is a tragedy! I have been studying the wisdom shared by the sages and the book of changes with all of its wisdom has helped me immensely on my journey, the book broken down as well as the divination. The stories and parables are a gift to all humanity. The Art of War is a treasure in its simplicity as are the book of Odes and the Analects as well as the Doctrine of Mean. Yellow has meaning beyond color! Thank you for your efforts and your sharing the wisdom of the Ancients and being a being of love!